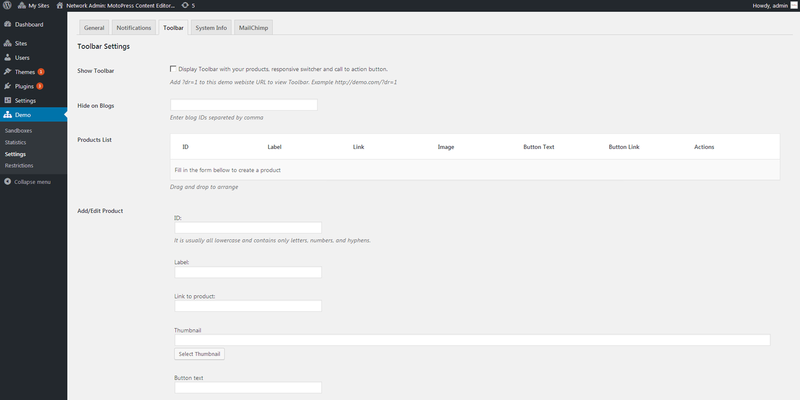 Demo Builder for Any WordPress Product – Provide users with a personal demo of your WordPress products. 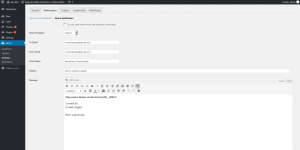 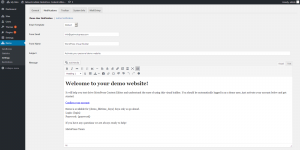 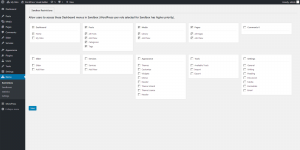 This website is the example of “Demo Builder for any WordPress Product” plugin in action. 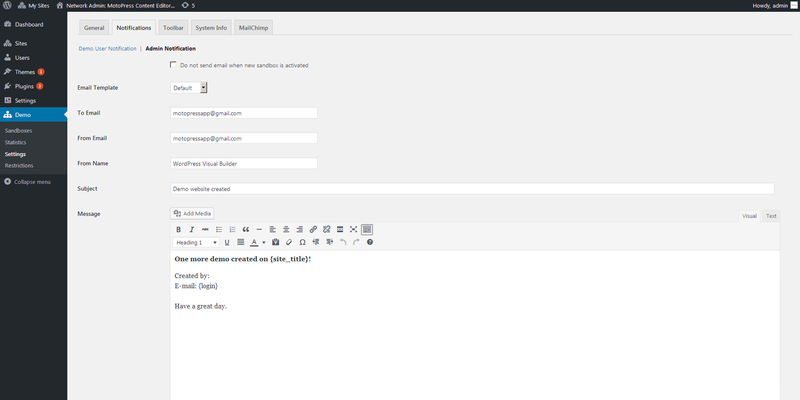 To test drive this plugin as the User, fill the form below. 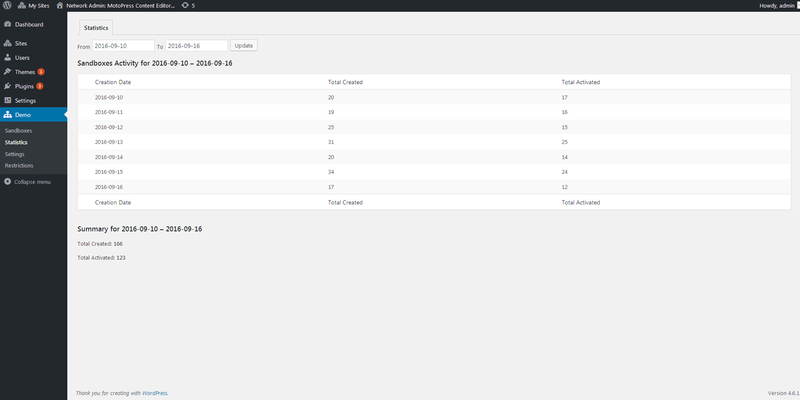 After registration as the User you get access to WordPress Dashboard of your personal demo site. In this particular example, you’ll get access to our Restaurant Menu plugin for WordPress. You can create, modify or even delete the content. You’ll also get 2 emails to see how MailChimp automation works. 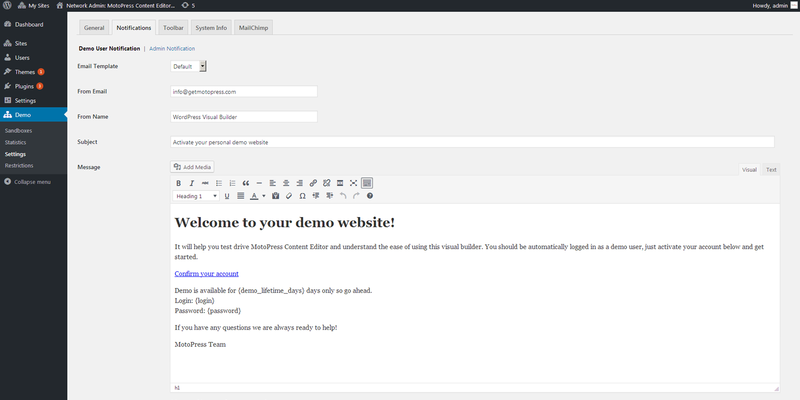 WordPress Demo Builder is an all-in-one plugin to easily build an effective demo of any WordPress product. 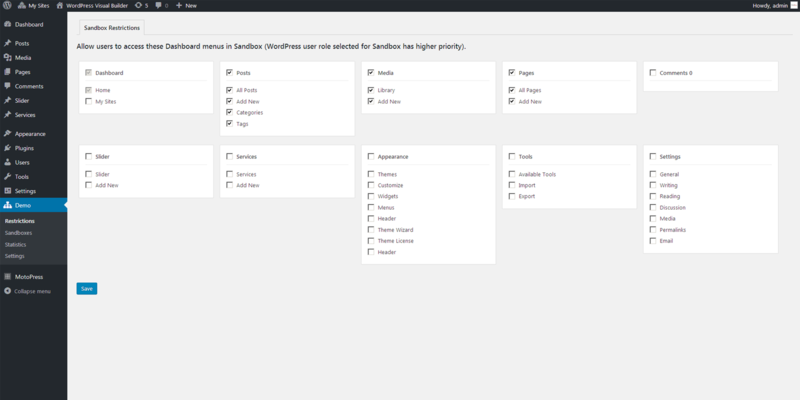 Whatever it’s a plugin, theme or any other item to present.